Celestion IRs (impulse responses) are highly accurate digital representations of a selection of our legendary speakers. They allow you to simulate the tone you would get from playing your guitar (or bass) through one of our physical speakers, but by digital means instead. Our impulse responses were created with the help of multi-platinum Engineer/Producer Mike Spink at Decoy Studios, a world class live room which is the professional home of award-winning mixing engineer Cenzo Townshend. Then, for each cabinet type we recorded using 3 different industry standard microphones, each placed in 6 different positions, corresponding to a range of different tones (balanced, dark, dark 2, bright, fat and thin) – making 18 recordings in all. For each bass speaker we have recorded a set of IRs featuring the most appropriate cabs for the speaker size. Then for each cab type we recorded using three industry standard microphones (different from those used for the guitar speakers) , but each placed in the same positions relative to the speaker’s cone to provide a range of different tones (balanced, dark, dark 2, bright, fat and thin). 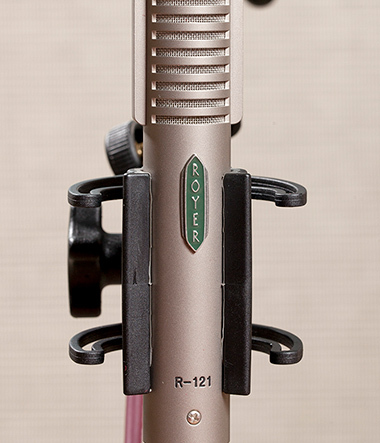 Again, we created several additional mixes based on different mic combinations, to give yet further tonal variety. To round off the package we’ve included the “room mic only” option as well. The result is incredibly high quality, professionally mixed Celestion tone, instantly giving you a professional setup mix you can use time and time again. But it doesn’t stop there. Because you have all the tones in digital format you can mix them together to create your own tones, blending different mics, speakers, and cabinet types to find your perfect tone quickly and easily. And, because your IR library is highly portable, you can use them to quickly recreate the tones anytime and anywhere you want – whether you’re practicing with a band or performing live in different venues. Explore the rest of our Knowledge Base section for additional technical details, or listen to IR samples on our product pages. IR Mic and Mix Information – Technical details about the microphones we used, how they were positioned and the additional mixes. IR File Formats – Technical information about the IR files. IR Instructions – Detailed information about how to use the files. Convolution Software – Information about the type of software you will need to make use of our IRs. FAQ – Find answers to Frequently Asked Questions. Why We Did This – An interview with the Celestion IR development team.